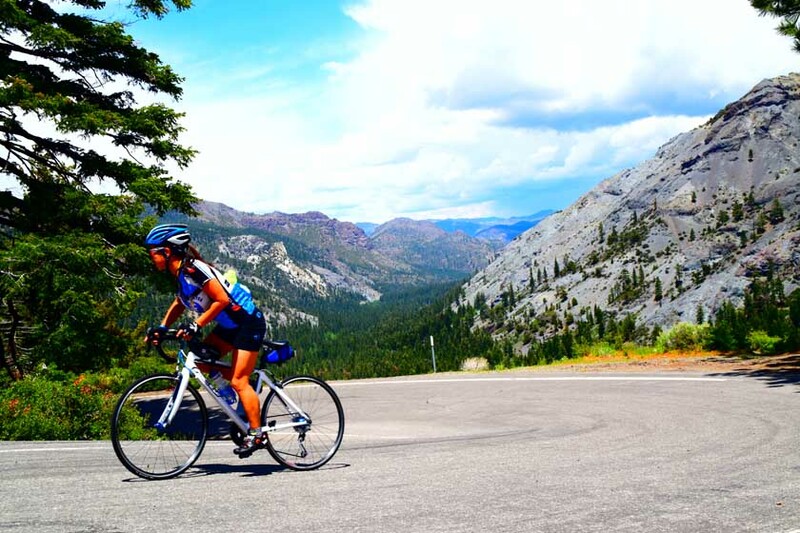 This is a serious ride for experienced cyclists who are fit and skillful. 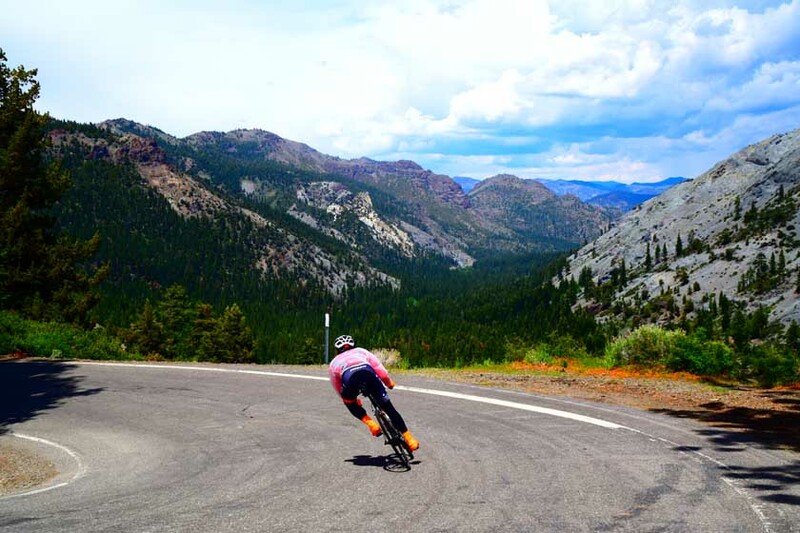 It is a steep sustained climb/descent on a narrow road with blind turns, steep drop-offs, and can be considered dangerous if going too fast. Be prepared for unpredictable and rapidly changing weather conditions – possible extreme heat to snow in the same day. No shoulders on the road. Be certain your bike is well prepared for optimal performance and braking power. Start from the center of Markleville on Hwy 89. 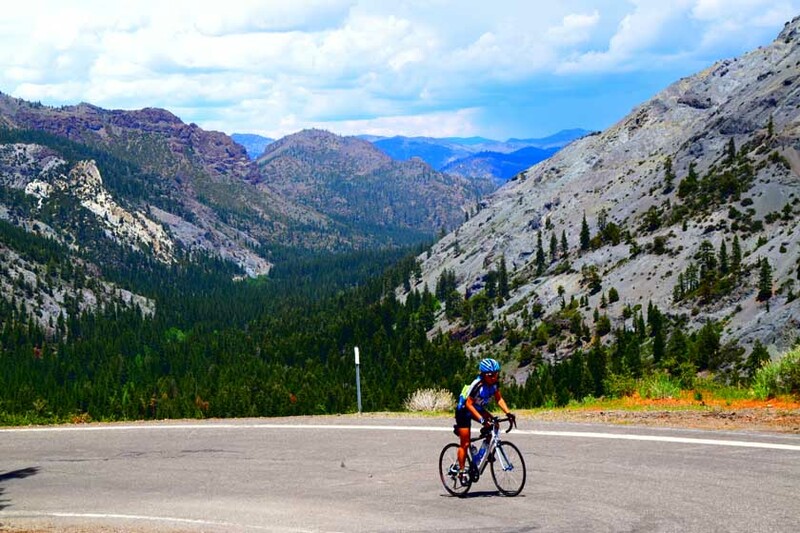 Like most bike rides in this Guide, there is a lot of history with this route first used by Miwok and Washoe Indians crossing the Sierras. 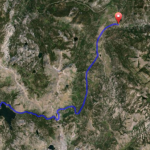 The route is also believed to be the first crossing of the Sierras by a non-native, Jedediah Smith, in the spring of 1827 during an exploratory journey. John Ebbetts, traversed the pass in April 1851 with a large train of mules. He was looking for a possible route for the transcontinental railroad but determine it was not suitable. The pass was named after him in 1893. 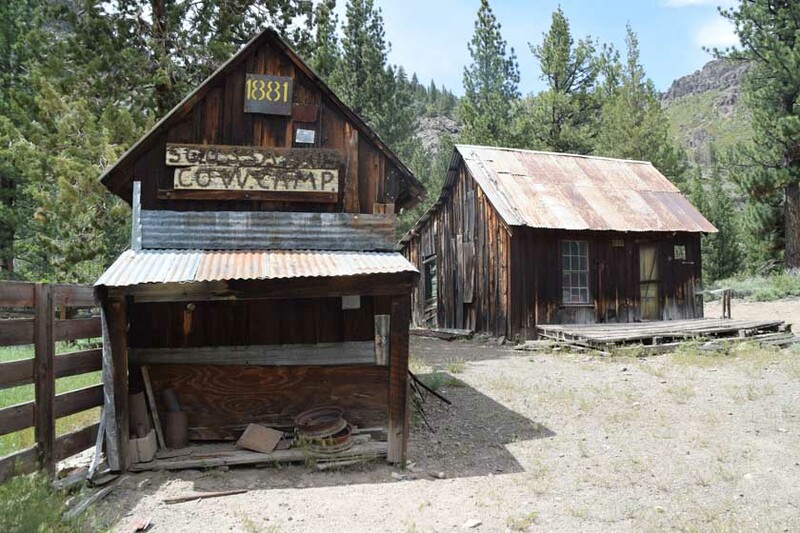 With the discovery of silver nearby, it became necessary to improve the route from Murphys, California (located west of the Pass) to Markleville for the transporting of freight and supplies to support the mining operations. The road became a toll road in 1862. Along the ride are a few historical reminders. 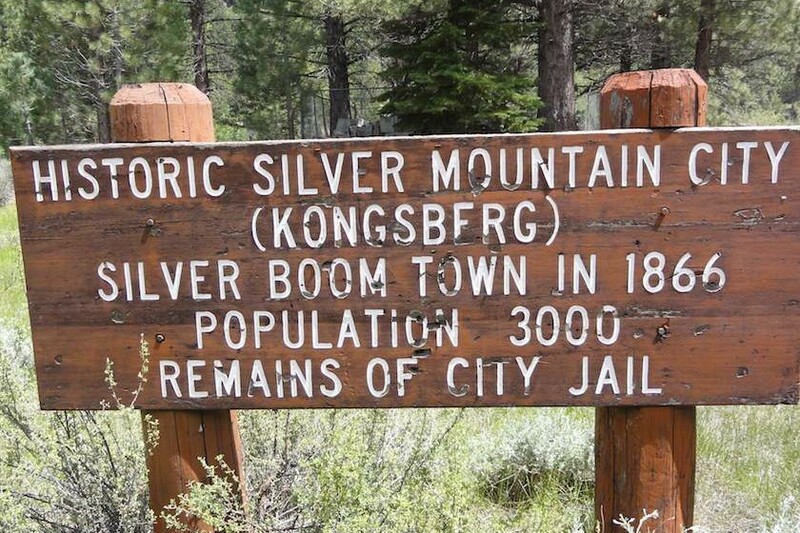 Kongsberg, later called Silver Mountain City, was founded here in late 1850’s- early 1860’s by Scandinavian miners prospecting for silver. At its height, this town had a population of 3,000. Stones from the original jail foundation remain. The Scossa’s Cow Camp – a family from Switzerland homesteaded in Diamond Valley and hauled lumber from here. John Scossa married Snowshoe Thompson’s widow and the family has been raising cattle in the area for generations. Chalmers Mansion. Just a bit further, you will pass a large distinctive brick smelting chimney at the Chalmers Mansion. It was built by Lewis Chalmers, superintendant of a mine in the Silver Mountain district from 1870-1880. 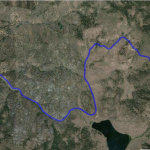 The road became part of the California state highway system as Hwy 4. In 1971, it was designated as a Scenic Highway and in 2005 as a National Scenic Byway.